The earthquake in Nepal caused widespread destruction and destroyed centuries-old buildings and roads. The aim of Lahore Mapathon was to update maps, buildings and roads in Nepal after the earthquake and help responders on the ground. 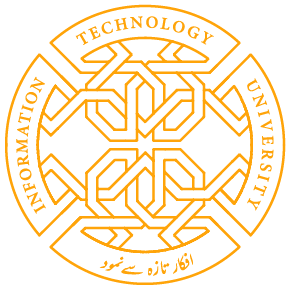 Information Technology University students and digital humanitarians joined Lahore Mapathon held at Information Technology University on 4th June from 2-5 pm. The event opened with a Skype session with Benson Wilder, from the Office of the Geographer and Global Issues, in the U.S Department of State. 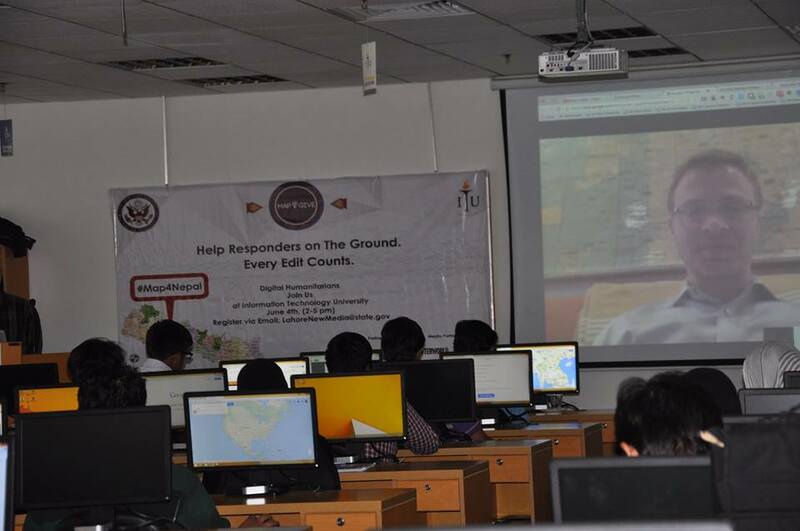 The instructors for the event were Adnan Shahzad, Digital Media Specialist from the U.S. Consulate General, Lahore and Usman Lateef, Google Mapper from Digital Marketing, Pakistan. They were assisted by Arshia Bano from USAID Pakistan and Rachael Chen from the U.S. Consulate General, Lahore. Kamal Faridi, social media activist, also attended the session. There was enthusiastic participation by ITU students and volunteers who made updates and edits on the OpenStreetMap database. The purpose of Lahore Mapathon was to inspire a wide range of people to contribute to maps facilitating better short and long term response and recovery in Nepal; introduce more students to the easy-to-use OpenStreetMaps tool; as well as build and support a network of passionate volunteers engaged in issues of planning, crisis and response, geospatial analytics and policy. Since the first earthquake struck Nepal on 25th April, 3569 volunteers mappers from all around the world have edited 62058 maps, 26954 segments of road and 228281 buildings in the OpenStreetMap database, with volunteer efforts coordinated by the Humanitarian OpenStreetMap Team. Given current events in Nepal, MapGive and the OpenStreetMap (OSM) community are still actively involved in the earthquake response. MapGive is an initiative started by the US State Department. MapGive is filling gaps through the provision of high-resolution satellite imagery and assisting with metrics and visualizations to bring attention to this unique form of digital volunteerism and to motivate and mobilize the crowd of volunteers to help with the Lahore Mapathon. This updated OpenStreetMap data is being used for logistics and planning by operational responders such as the American Red Cross and Nepalese Red Cross, UN agencies and numerous other NGO’s. Other organizations such as the National Geospatial-Intelligence Agency in the United States are also supporting MapGive and OpenStreetMap with maps and analysis. During the session, volunteers were able to make close to 2000 updates to roads, buildings and pathways in Nepal in 100 minutes. The three hour long session was organized by Information Technology University and the U.S Consulate General in Pakistan, and sponsored by Coca Cola Beverages Pakistan Ltd, Digital Marketing Pakistan, Media Partner, International Data Group (IDG) and Computerworld. At the end of the session, there were giveaways from USAID for all the volunteers and a raffle for an Apple IPod. All the guests hosting the event were presented with souvenirs on behalf of the University. Share the post "Mapathon for Nepal – Every Edit Counts"